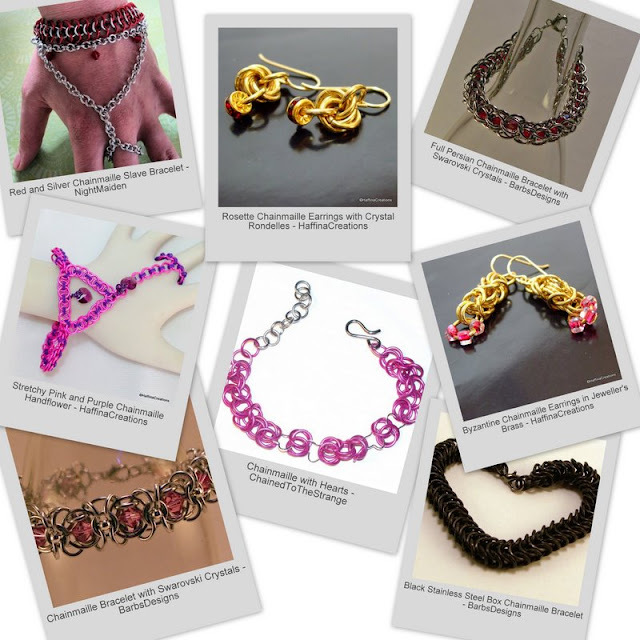 ArtFire Chainmaille Guild: Love is in the Air! As a bit of a fun challenge for our guild we created some pieces with 'Love' in mind. There have been great pieces made - and here they all are. There are lovely pieces from NightMaiden, ChainedToTheStrange, BarbsDesigns and HaffinaCreations. We are asking visitors to vote for our next theme - there is a poll to the left of the blog.